We have built a solid reputation providing all of our customers with the best possible plumbing service at competitive prices. This reputation has been built on customers having a great experience with Diamondback Plumbing and they keep coming back for any plumbing needs and concerns they have. One of the most important parts of a commercial area to maintain is the bathroom. Businesses involving customer service need to have a clean and well-maintained bathroom. But no matter how often you maintain toilets and drains, problems can still arise sooner or later. 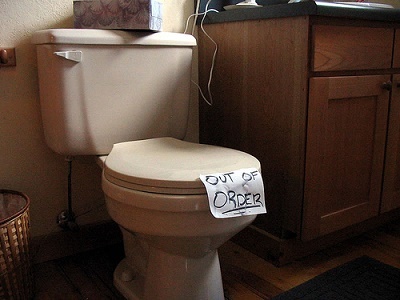 Have you ever had these troubles with your toilets? Dysfunctional toilets and drains can be such a big problem and finding solutions on your own can be a hassle and time-consuming. Seeking for professional help would be the best option for you. Diamondback Plumbing consists of professional commercial plumbers. We specialize in every aspect of commercial toilet plumbing which includes installation, replacement, and repair. 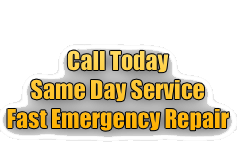 We can also do other emergency plumbing needs like faucet repair, shower repair, and bathroom plumbing issues. Do you think that your toilet has leaks? Check the concrete if it has water spots. Next, check if there are any wet spots around the source of the water. Try to see if the wet spots appear after flushing. Then, avoid flushing for a while to see if the spots go dry. If you notice that it only leaks after flushing, this could mean that there is a drain leak. Leaking and running water are common problems with toilets made during the 1990’s. Older toilet models use an average of 3.5 gallons of water with each flush. Newer toilet models use 1.6 gallons only, so replacing old toilets is actually a great way to save water. In repairing toilet leaks, replacing old toilet models with new ones is the best option. But when you need a quick solution to your leaky toilets, our company can help you with that. Simply contact us and our professional plumbers will be there to fix the problem. Clogged toilets can be such an inconvenience especially when they’re in commercial or business locations. Toilets with water that rises up and spills over the bowl are just unsightly. The water floods the floor leaving the bathroom with a revolting odor. What do you do when this happens? Check for any obstruction within the drain line. If there isn’t any, there could be a problem with the sewer. Your sewer lines can get clogged and may need to have the sewer drain lines cleaned. To quickly fix the problem, contact an expert team like Diamondback Plumbing to immediately diagnose the problem. We can help you when you need to unclog toilets quickly for commercial locations or restaurants. Our Scottsdale team of plumbing professionals can get to you quickly and usually have the problem fixed within the same day. Installing toilets can be affordable and easy with Diamondback Plumbing. Our experienced technicians can help you with toilet installations and new toilet systems that help you establishment conserve water. When we are installing a new toilet system, it is also recommended to clean or if needed replace your drain system as well. If you’re quite troubled with deciding on the best toilet model, we can help you with the determining the best solutions based on your needs. Our company can help you if you’re thinking of replacing old toilets and drains. Here are some signs to know if you need to consider getting replacements. When these signs appear, it may be time to replace old fixtures. You don’t need to wait for all of these signs to replace toilets. Our expert technicians can help you determine if there’s an underlying problem that will eventually cause bigger problems in the future. With the important information, you can decide whether to repair or simply replace toilet fixtures. Diamondback Plumbing is ready to serve the community of Scottsdale and surrounding areas. Our lines are always open, so call us anytime to schedule a free estimate or for our emergency 24-hour services. All the work completed by Diamondback Plumbing is per UPC Code and IFC Code.